Even though it might seem like a contradiction to use an electronic device for support in becoming more mindful, there are now apps to support your practice. Of course an app can never replace the support of a class and a teacher, particularly when you’re starting out. This is a meditation timer that also allows you to track your progress. You set a target for the length of time you wish to meditate each day. It times the session and rings a bell in the middle and at the end of the session. There is also a widget you can place on your home screen that displays your daily progress plus the current chain of days you have meditated, your best ever chain and the proportion of your target you have meditated today. This app can help motivate you to meditate regularly because you set meditation goals and monitor your progress towards the goal. 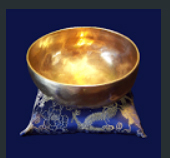 This mindfulness app allows you to ring a mindfulness bell on a particular schedule or set it to go off at intervals throughout the day. (It turns off at night.) When the bell rings, it’s a reminder to mindfully check how you are at that moment. It gives you the opportunity to take a moment and consider what you are currently doing and to notice your state of mind in the moment. One feature of this app is a map that shows how many people are meditating at any particular minute and their location. It also shows their screen names and what type of meditation they are doing. 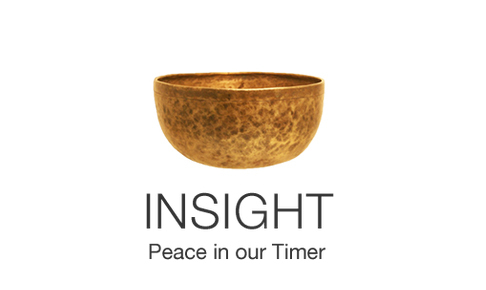 It has free guided meditations that change periodically and a meditation timer. Free. Available for both Android and iPhone. When you begin with Headspace, you can start with the free Take10 program which is a 10 session, 10 minute per session, class. There are progress reports, a buddy system, reminders and rewards. 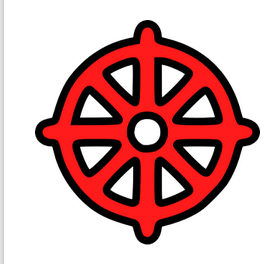 After the beginning program, meditation tracks and advanced features are available for a fee. 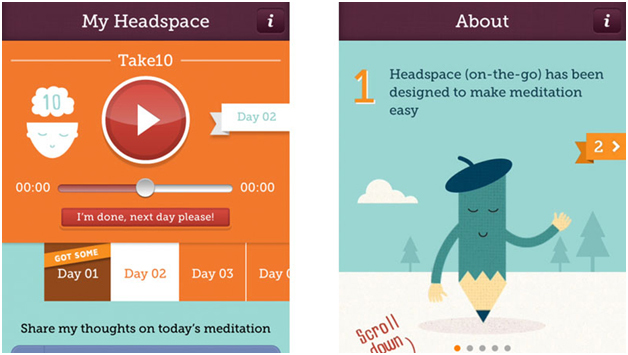 The app is narrated by Andy Puddicombe, cofounder of Headspace and a former Buddhist monk. It makes meditation accessible with clear instructions and cute animations . Free for the first 10 days, with a variety of subscription rates thereafter. For both Android and iPhone. 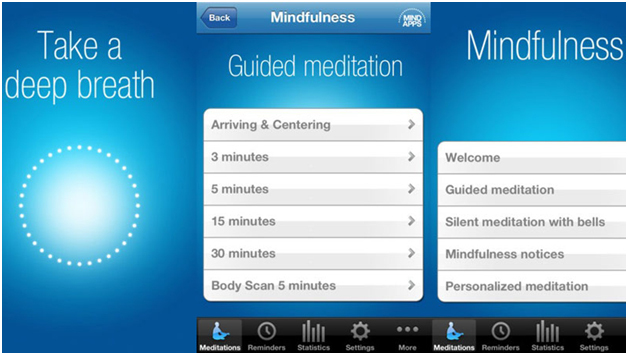 This app provides guided meditations led by Catherine Polan Orzech who teaches Mindfulness Based Stress Reduction. The meditations are 3 to 30 minutes in length and there is a silent meditation option. It’s easy to use. You can set reminders to meditate throughout the day or just take a moment to be more mindful. You can customize your meditation and track your progress. You can also purchase additional meditations from leading teachers.